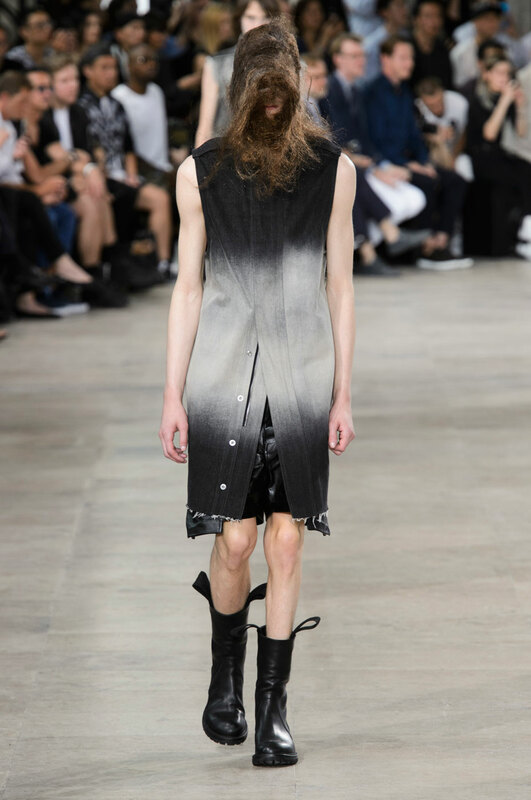 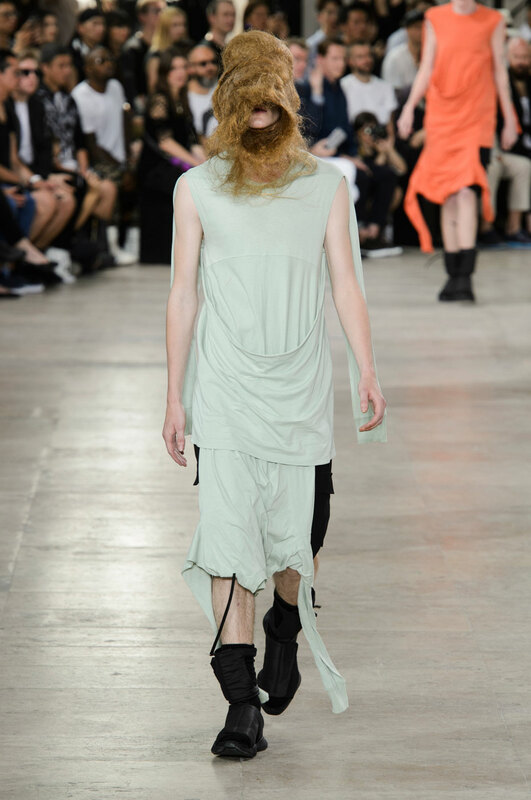 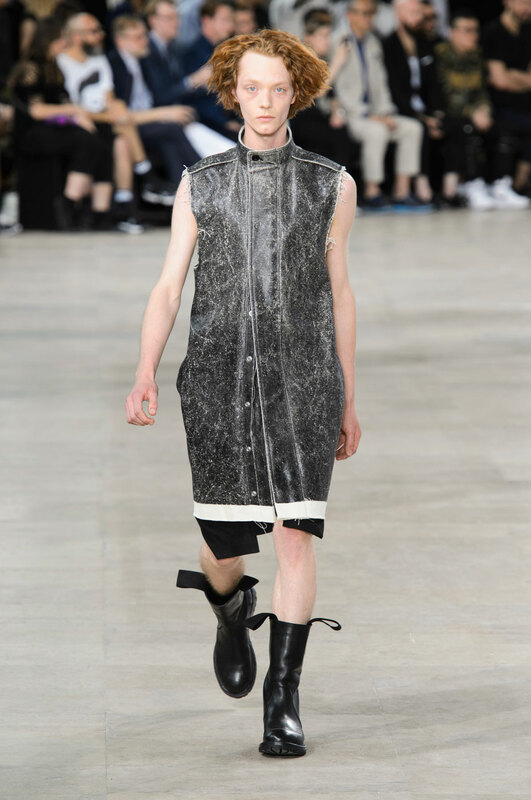 From the first introduction to this collection one can sense the general vibe of this show; its dark, its grungy and its bold. 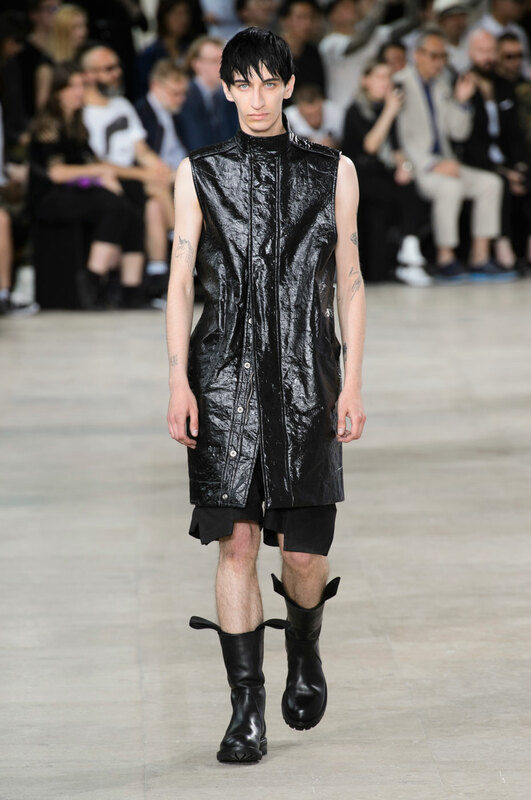 The gothic element resonates not only in the garments but the hair styles and the head pieces; the hair is peaked into horn shapes suggesting devil imagery while the head pieces create an unsettling atmosphere as well as references to the wilderness. 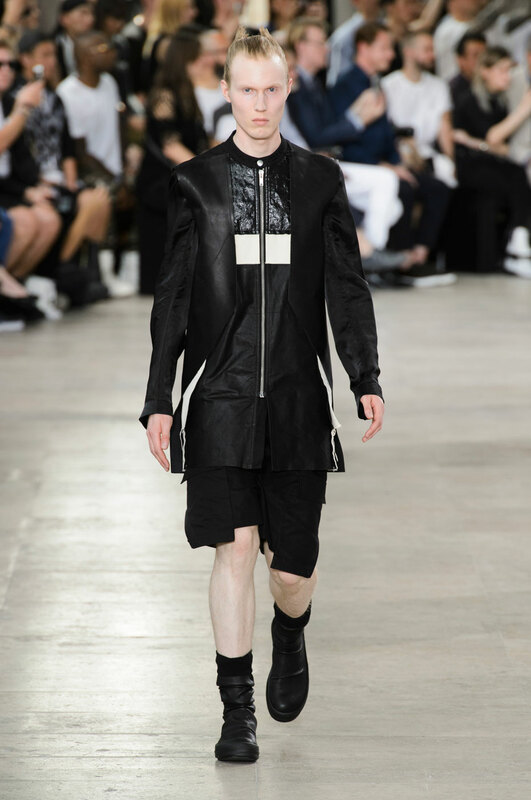 The collection is extremely monochrome, as the black and white pallet dominates the entire collection. 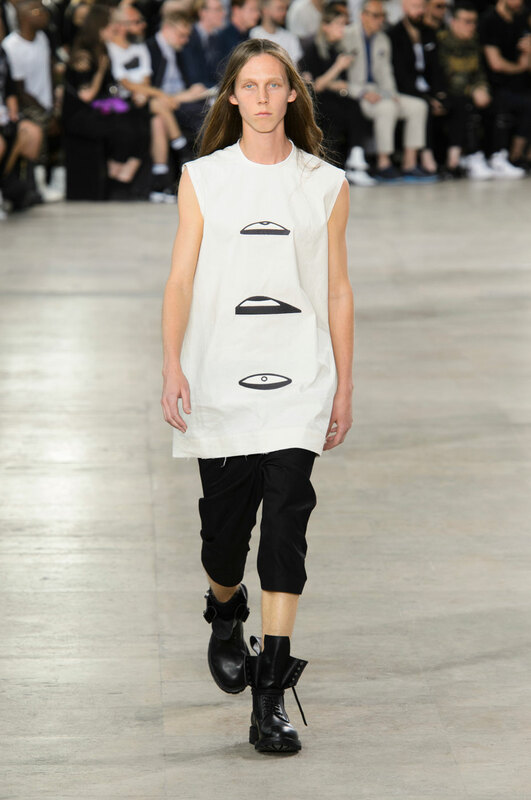 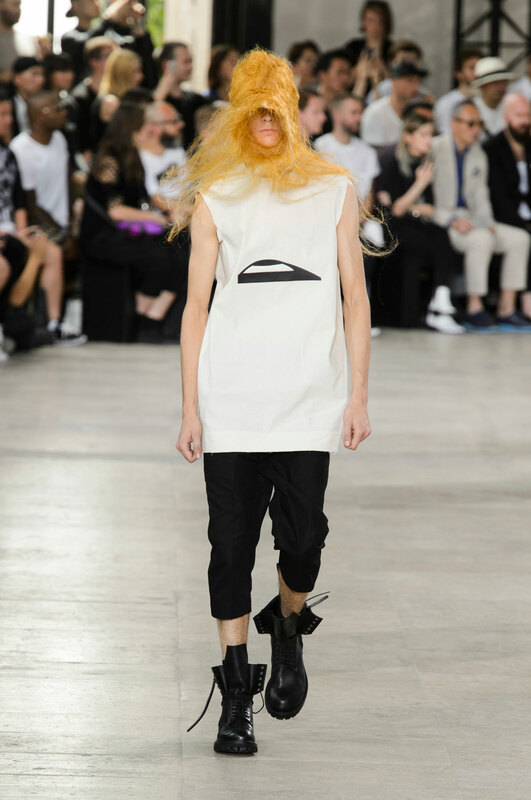 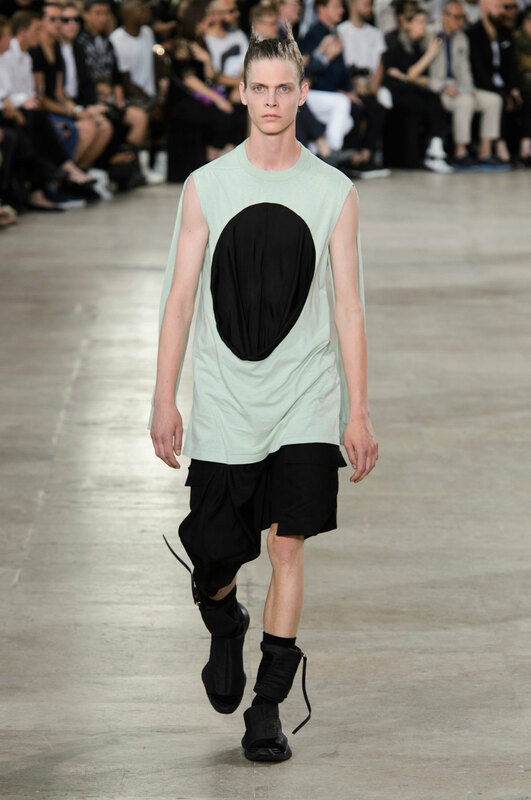 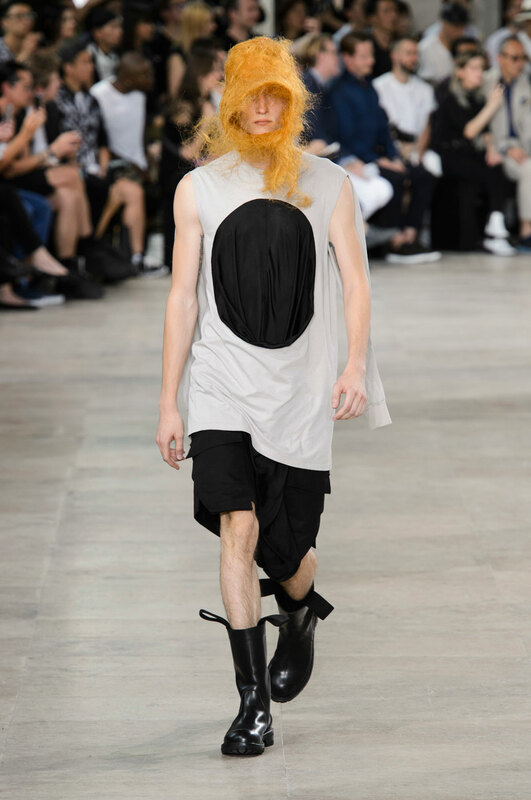 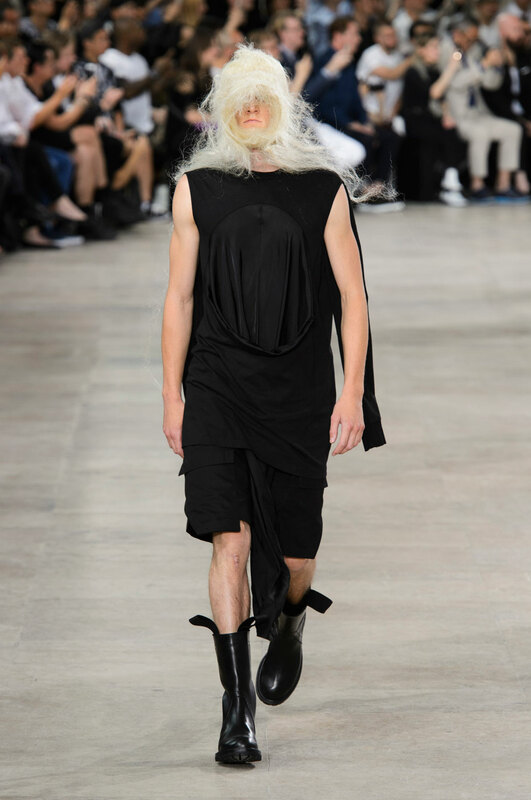 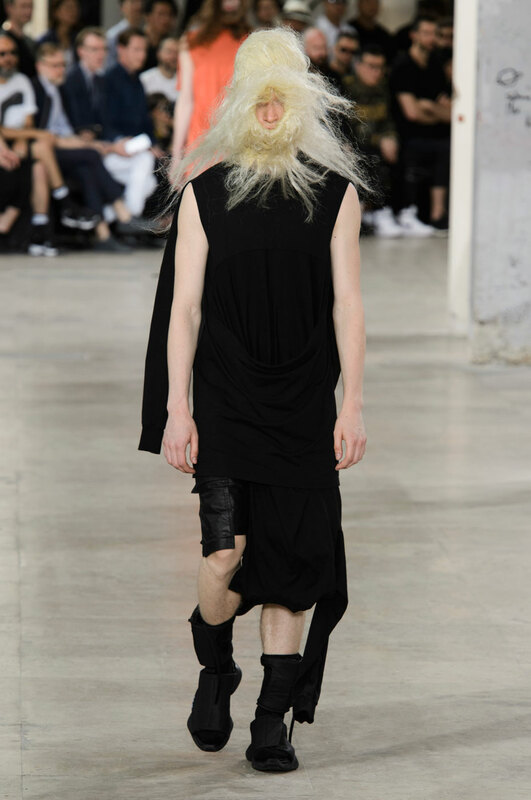 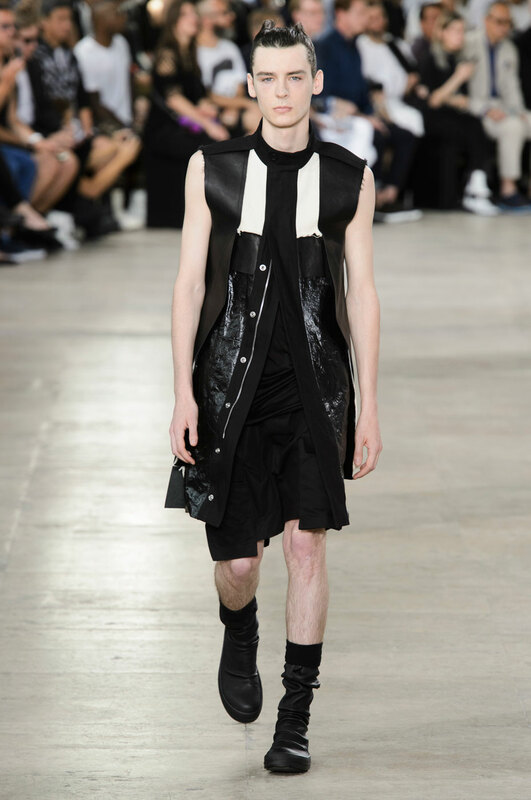 Owens uses ombré to add variation to his monochrome pieces. 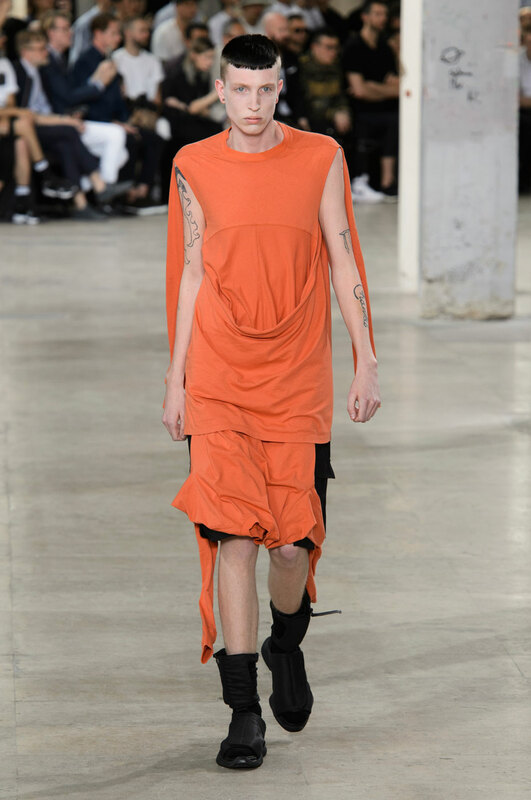 And he does provide hints of bright colour by using a variety of different shades of orange. 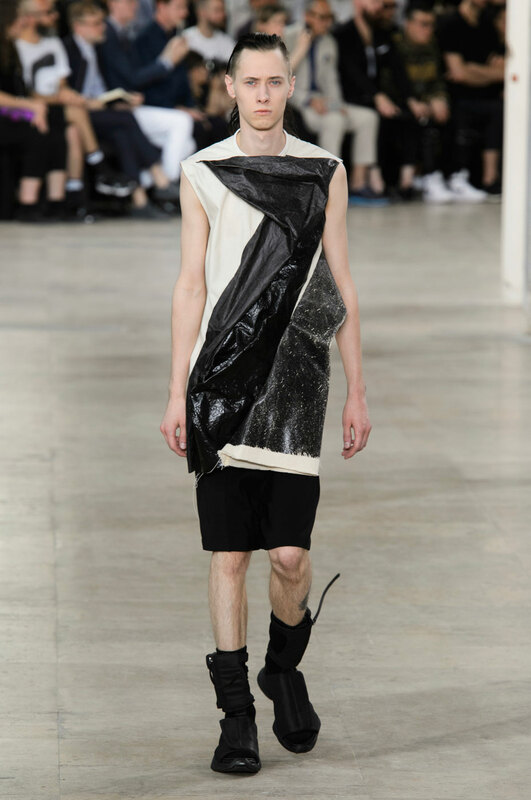 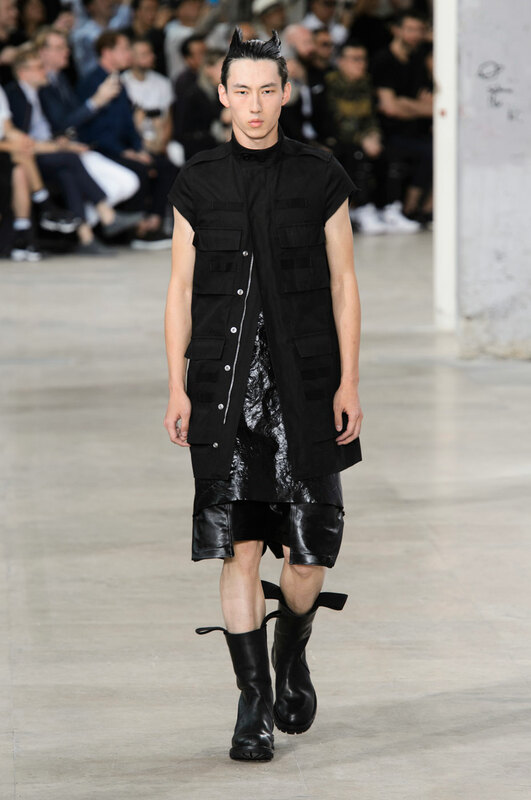 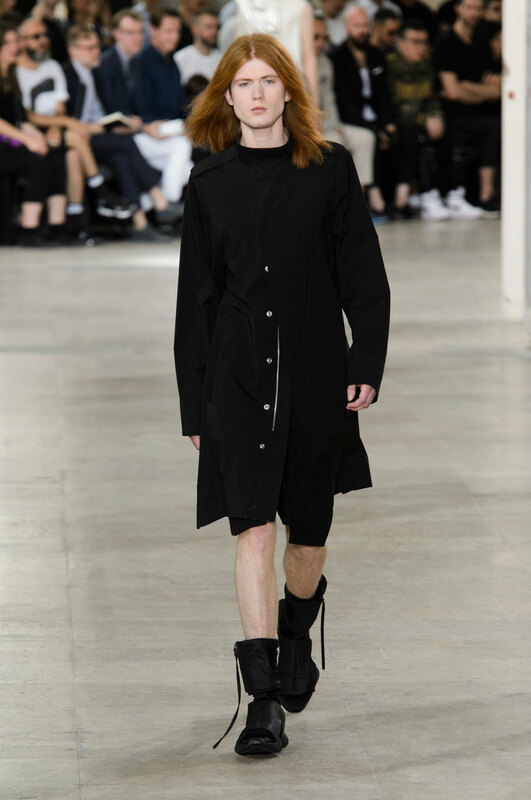 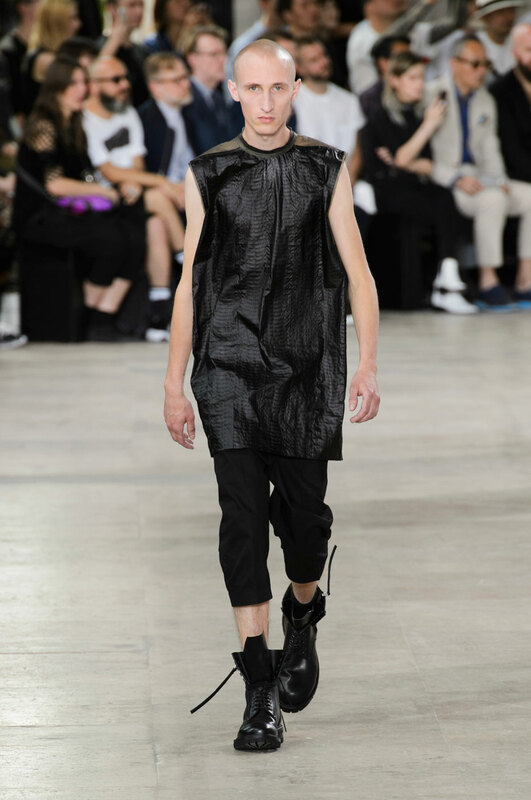 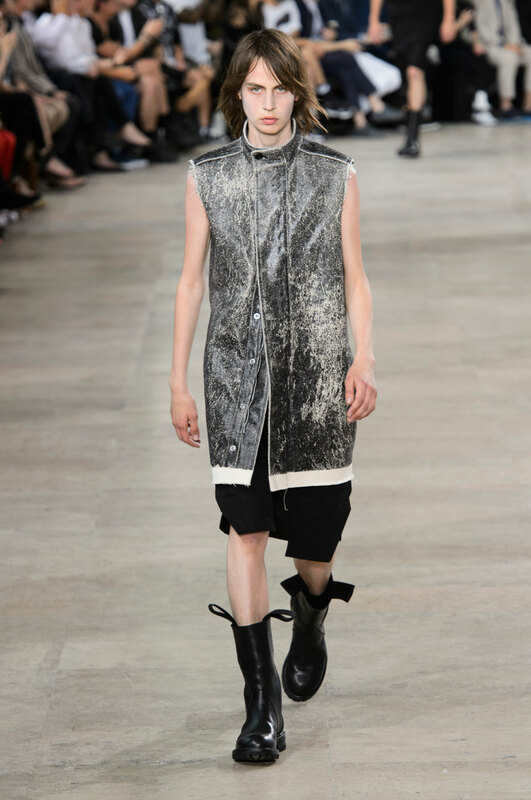 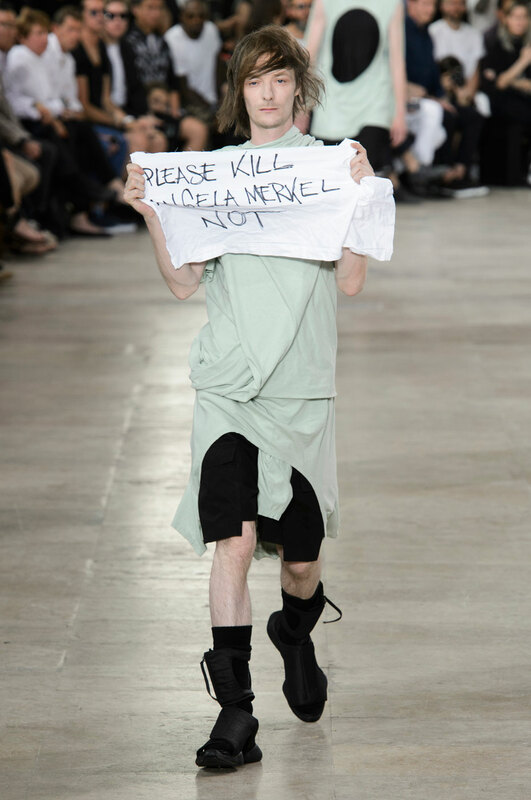 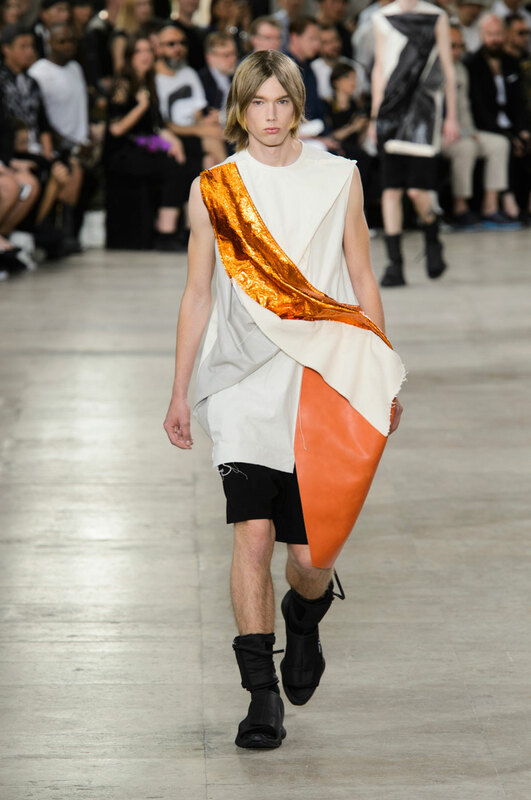 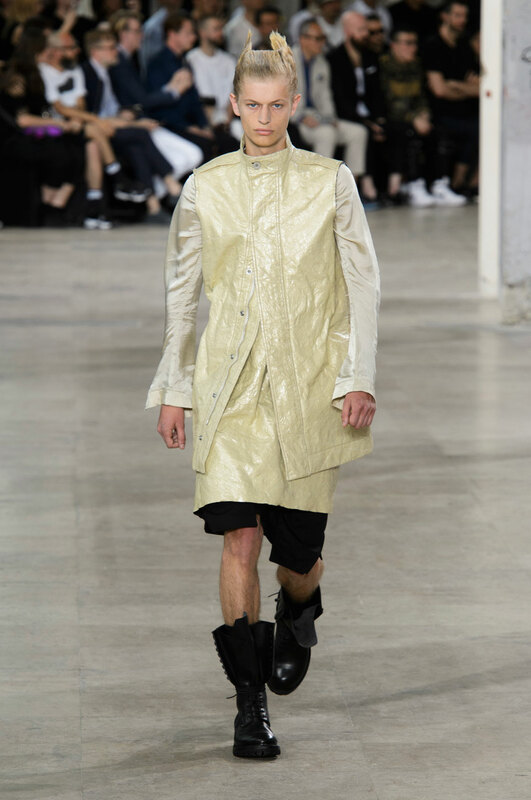 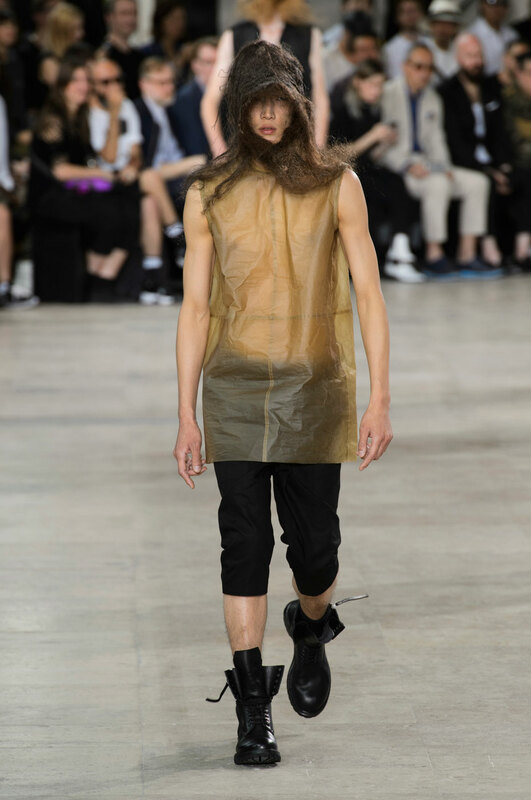 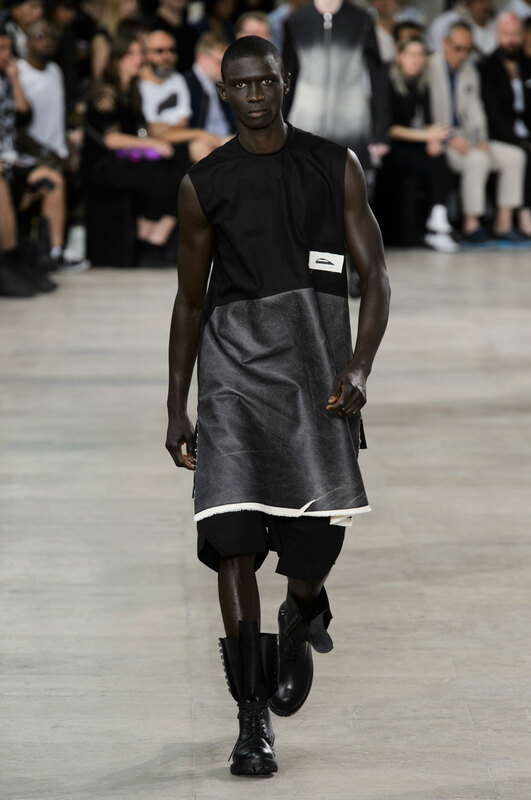 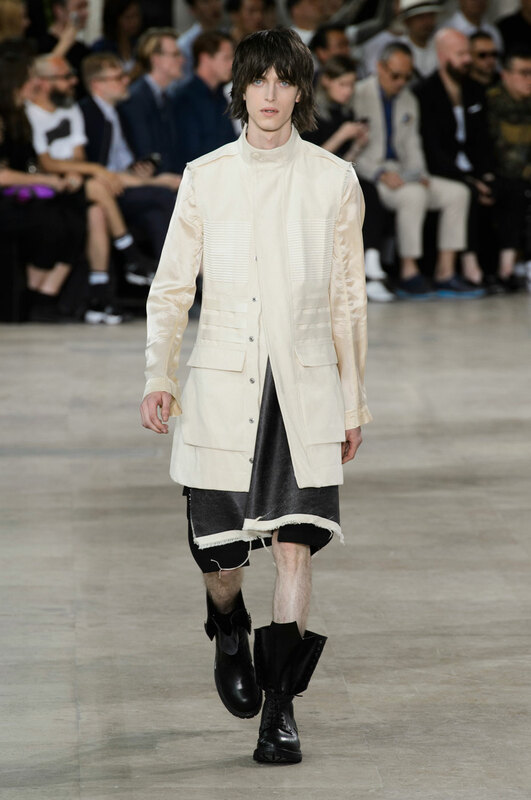 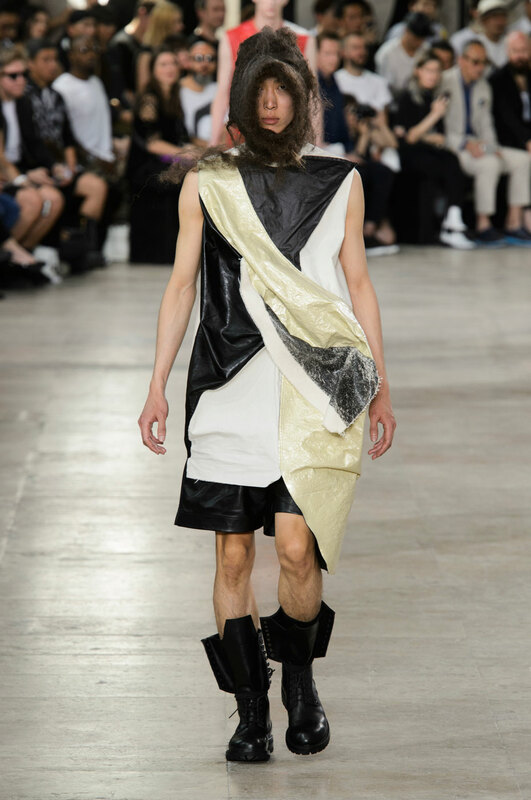 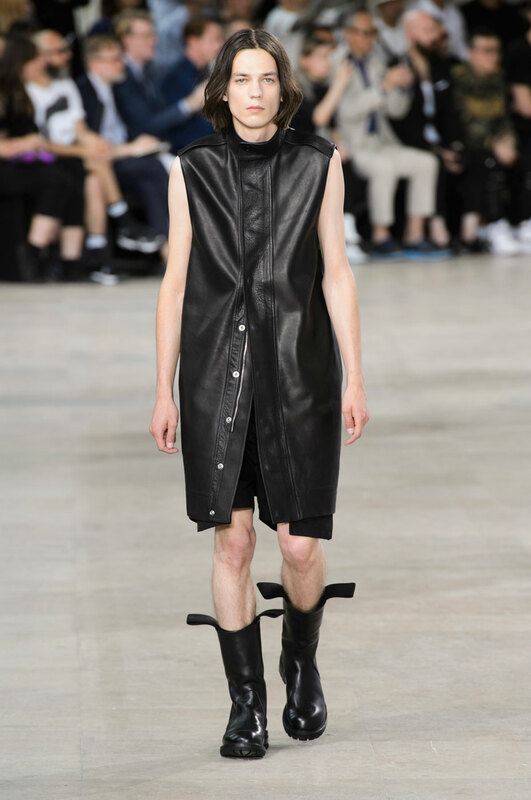 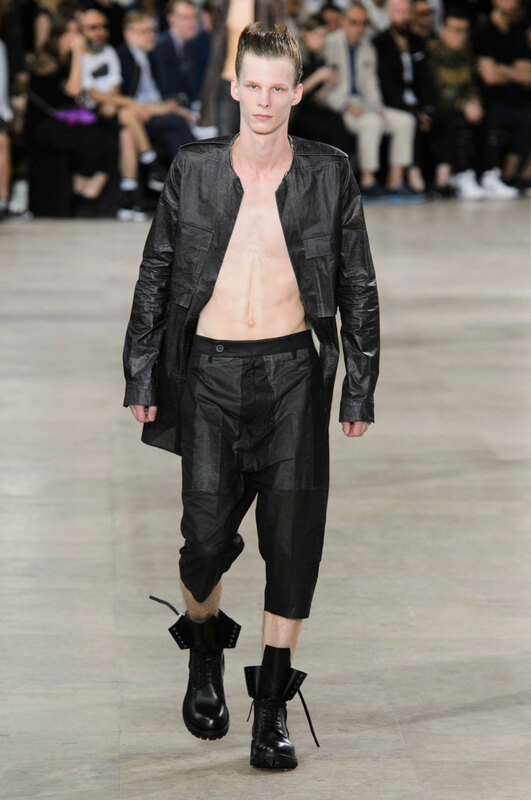 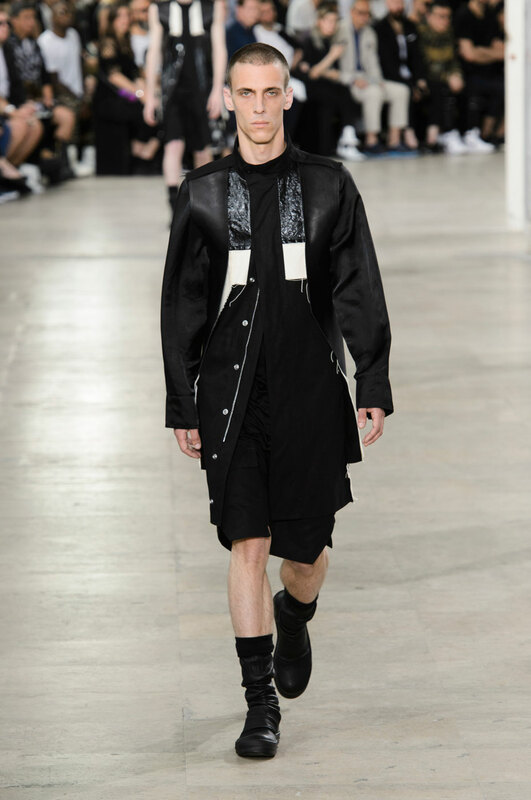 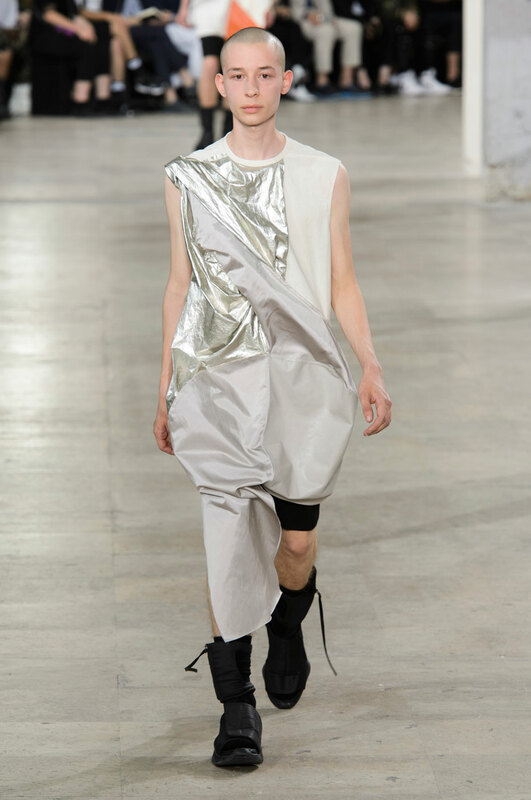 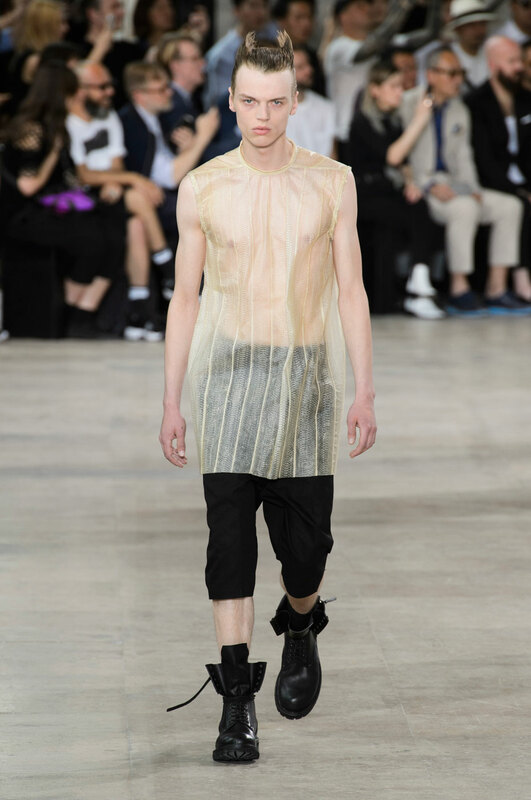 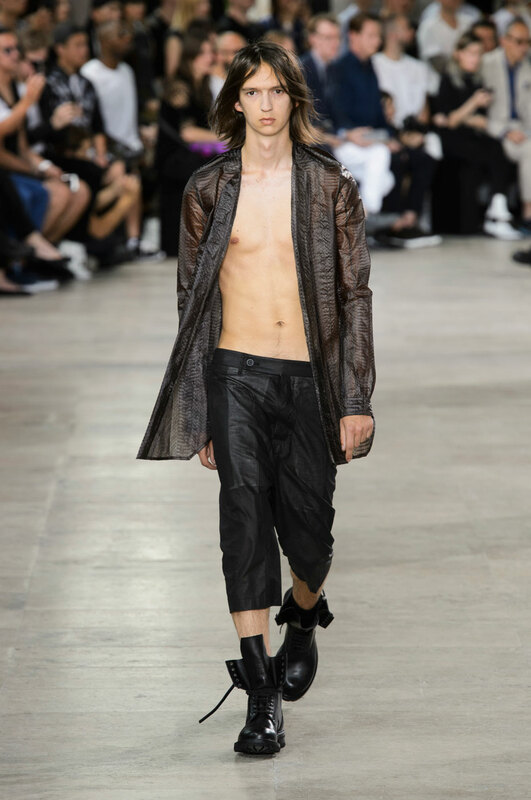 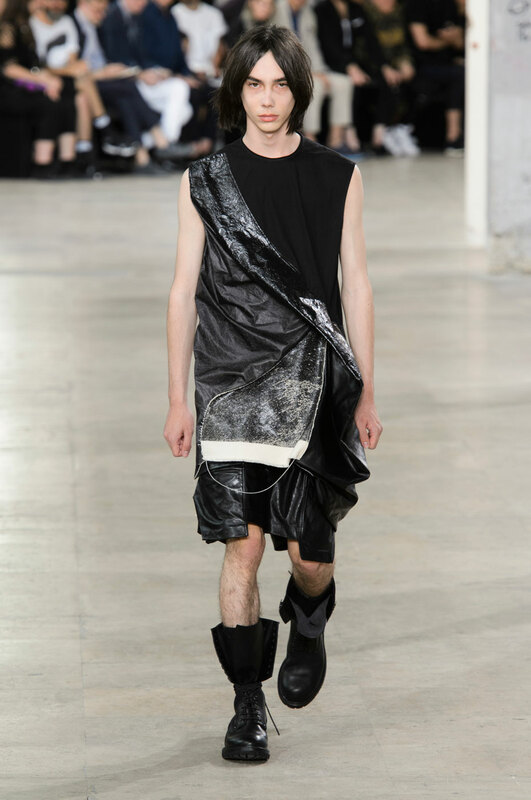 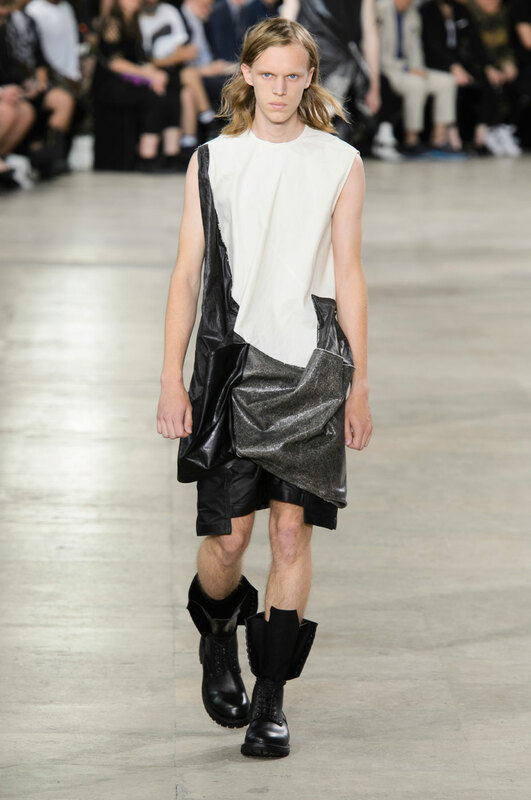 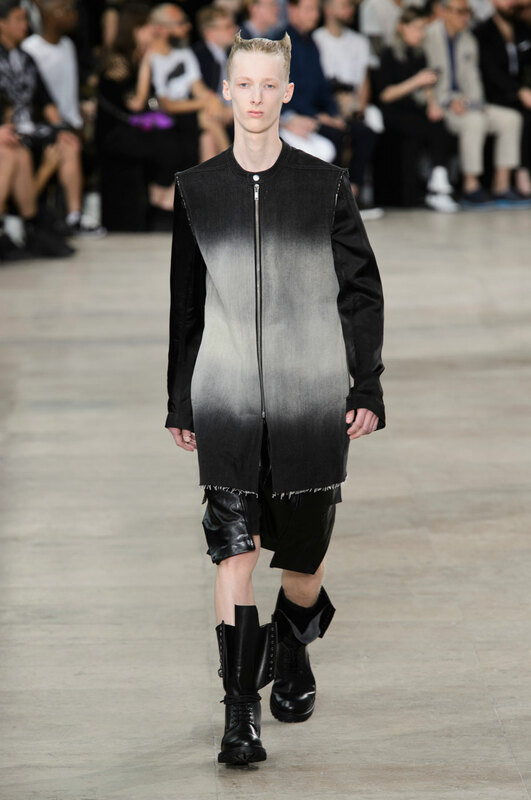 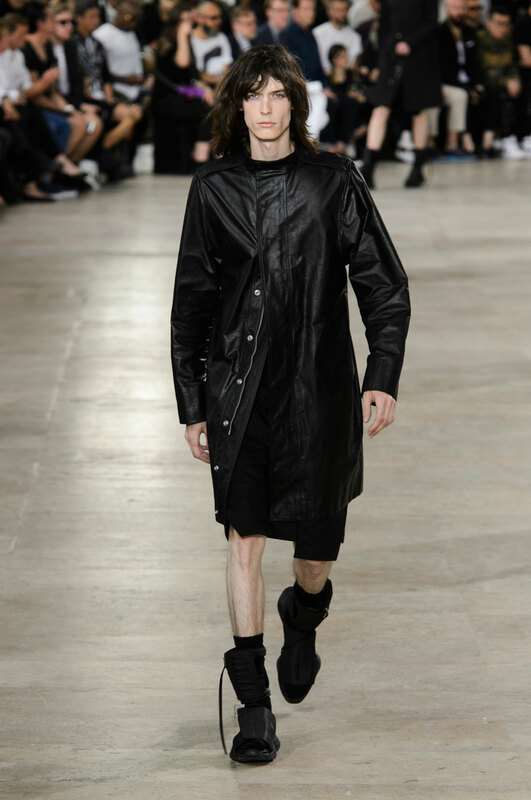 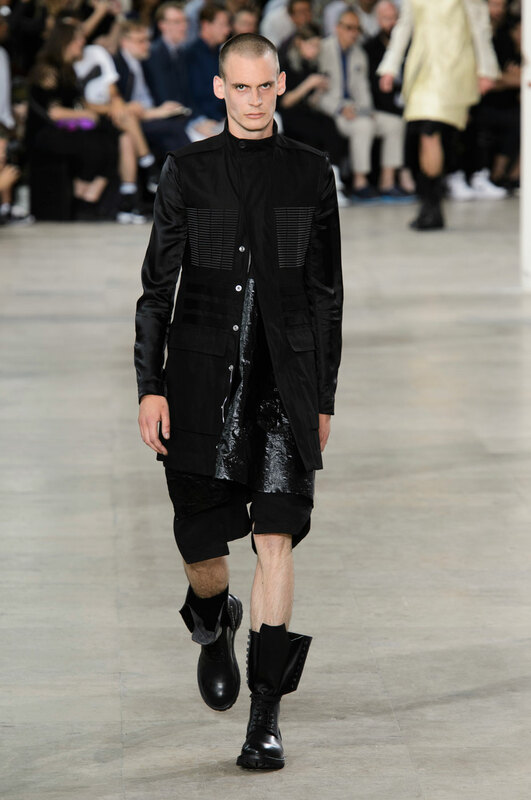 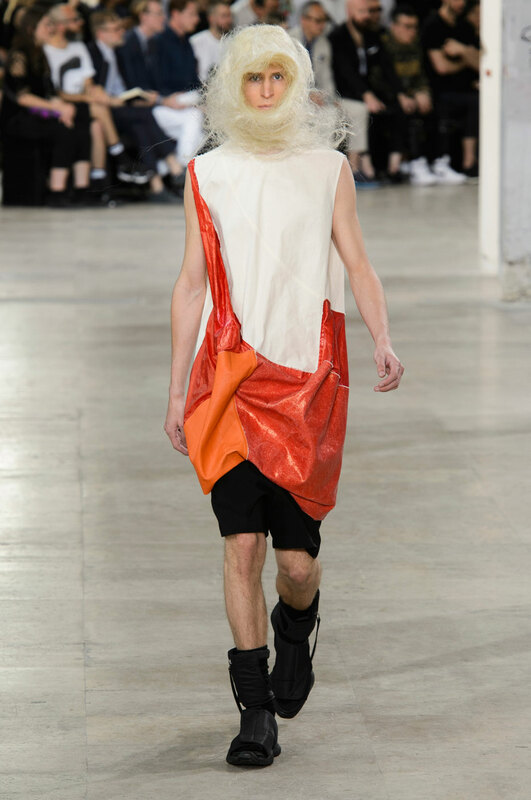 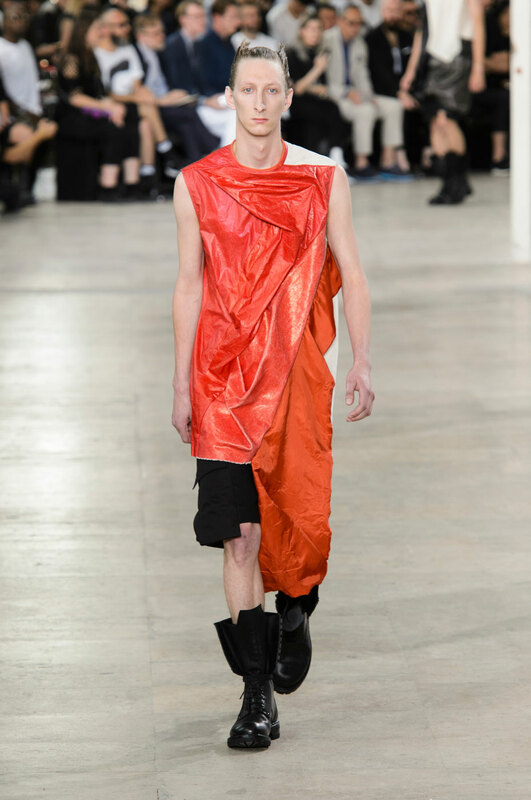 There are no prints throughout this collection; Owens adds definition and variety through his use of layering and the pairing of different fabrics, leather is an important component. 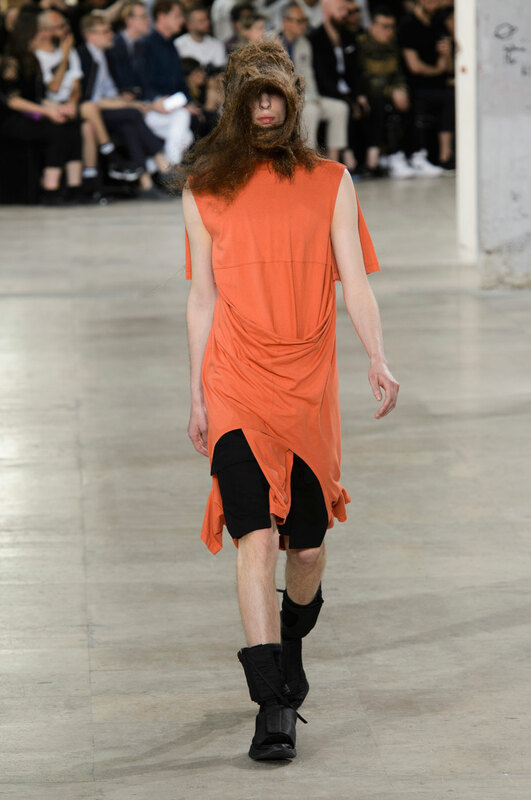 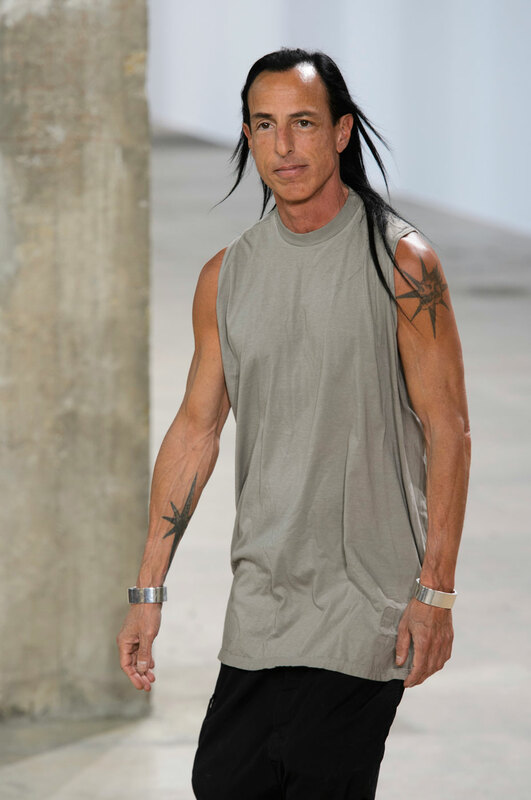 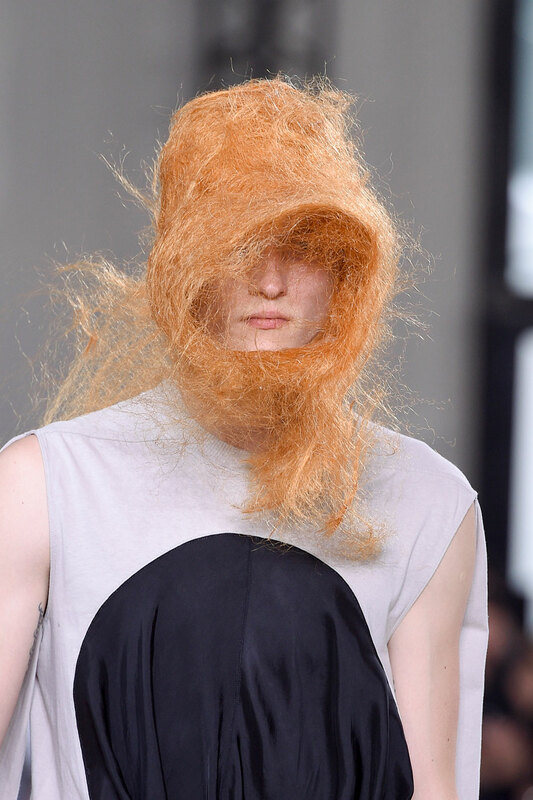 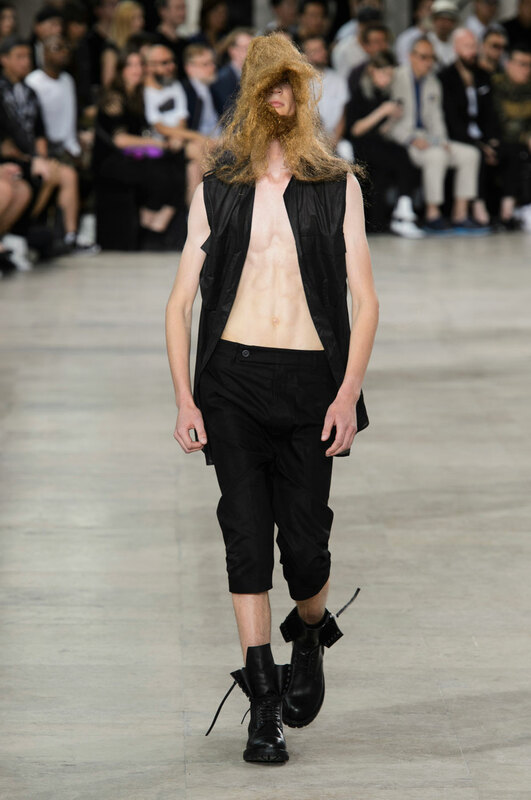 All of the models are styled in long shorts, and sleeveless tops and jackets, adding to the informal aesthetic.